Sea toads aren't incredibly fast-moving fish, but when they do maneuver themselves about, they have some pretty impressive moves. One featured in a video taken approximately 50 miles west of Wake Island by NOAA's Okeanos Explorer crew shows off a bit of what it can do. Among the notable skills displayed are instant deflation and standing on one foot. The fish also has a great talent for building suspense, as it stands prepped to swim away for quite a while before actually doing so. It doesn't stay afloat for long. 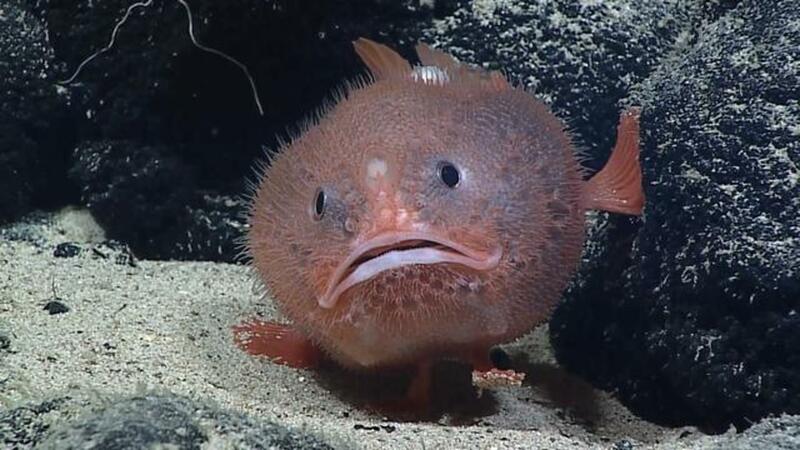 Once it finds a good place to rest, the sea toad positions its feet below its body and readies for landing. The footage was gathered as part of NOAA's Deepwater Wonders of Wake mission. Remember what the Internet looked like in the 1990s?